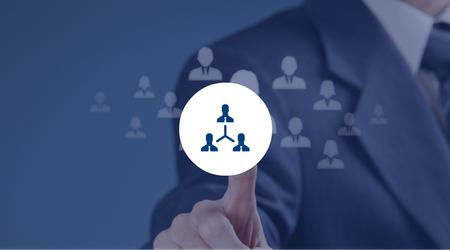 The ability to create user defined categorisation allows this module to be tailored to your specific needs. 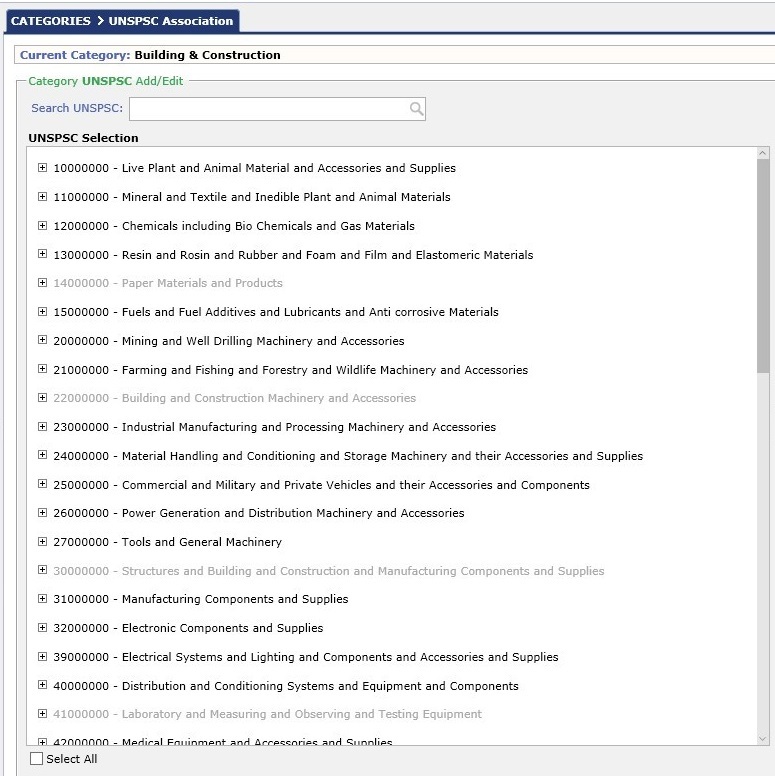 Categories can be broken into association sub-categories and/or with relevant sections of UNSPSC coding structure – which simplifies data entry when associating sourcing and contract records to a category. Once defined, all records within the system can be associated to the category structure – including Sourcing, Contracts and Supplier records. This integrated mechanism of classifying information throughout the various modules of the solutions provides a single view for the Category Manager of the business being undertaken within their category. 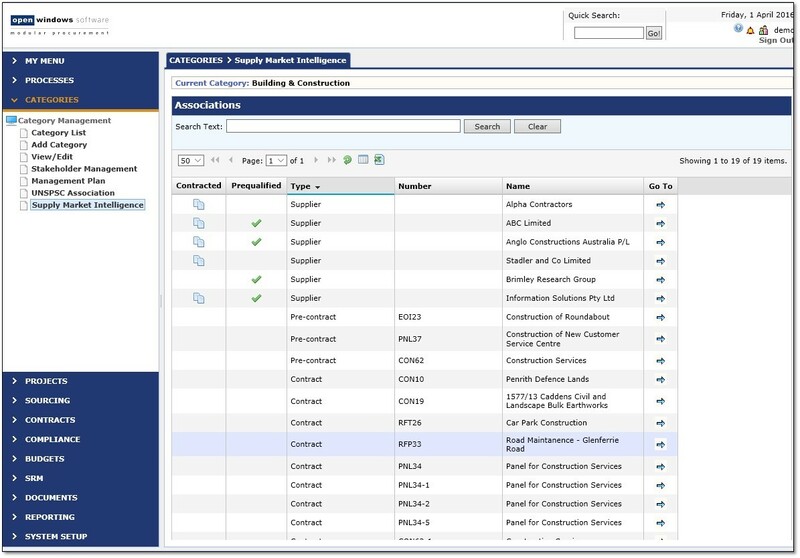 Category Management Plans detailing information such as Category Descriptions, Procurement Strategies, Business Stakeholders can be developed and stored within the solution. Updates can be recorded to provide a complete historic view of how the category is managed over time. Integrate the use of CATEGORIES module with SOURCING to quickly source pre-qualified suppliers in the exact category you require. Quickly and easily search and manage all supplier details in the SRM module. Integrate with CATEGORIES for category management functionality. 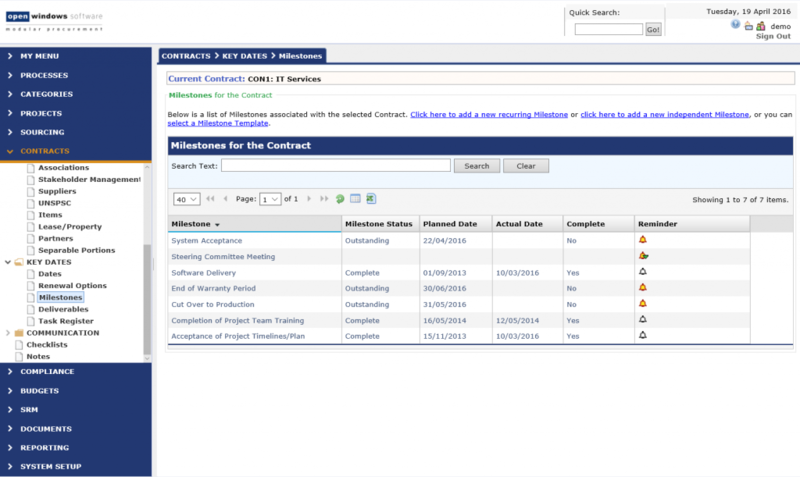 Open Windows CONTRACTS ensures all contract information and associated documentation is held centrally and is easily accessible. Electronic alerts enable our managers and staff to be automatically notified of upcoming contract insurance and/or license expiry in advance so relevant action can be taken. The information is kept up to date and contract renewals are not overlooked. 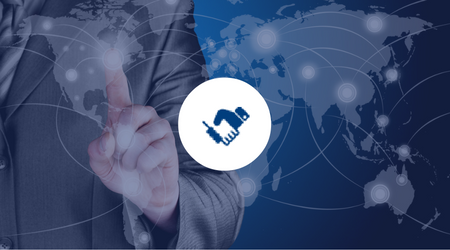 Speak to a product expert about your business requirements and we will create a customised demo experience directly related to your needs. Take a self guided demo experience.